William Anthony McGuire was born on January 2, 1939, in Washington, D.C., the son of William A. McGuire and Grace E. Young. He was baptized on February 19, 1939, at Saint Martin Catholic Church, Washington, and attended Saint Gabriel's Parish School and Archbishop Carroll High School in that city. 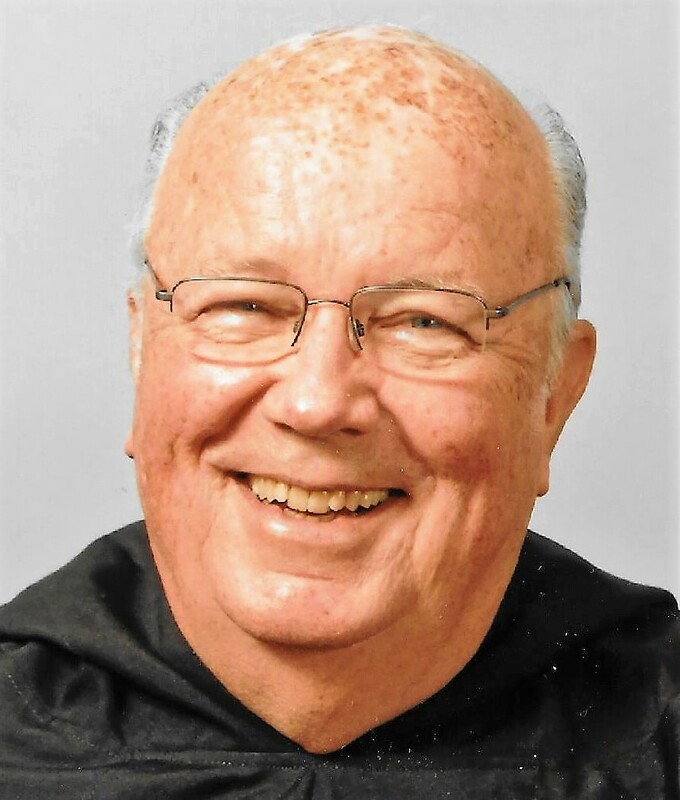 In 1956 he became a postulant at Augustinian Academy, Staten Island, New York, and was received into the Order as a novice on September 9, 1957 at Good Counsel Novitiate, New Hamburg, New York. He professed simple vows on September 10, 1958, and then attended Villanova University, which he received a BA in Philosophy in 1962. He continued his theological education at Augustinian College, Washington, D.C., where he obtained an MA degree. He professed solemn vows on September 10, 1961, and was ordained to the priesthood on October 29, 1965, at the National Shrine of the Immaculate Conception, Washington, D.C., by Bishop James McDonald. Father McGuire was assigned to Saint Joseph Friary and Msgr. Bonner High School, Drexel Hill, Pennsylvania in 1966, where he taught, and served at various times as the school's business manager, academic counselor and athletic director. In 1979, he was assigned to Villanova University, where he served as Assistant Dean of Admissions, from 1979 to 1982, Assistant Dean of Liberal Arts from 1982 to 1987, Assistant Athletic Director, 1987 to 1989, Dean of Enrollment Management from 1989 to 1998, and Senior Vice President for Administration, 1998 to 2006. During these years, he was a member of the community of at St. Thomas of Villanova Monastery on campus from 1979 to 1997. In 1997 he joined the community of Saxony Hall, and in 2004, the community at Saint John Stone Friary. He was then a member of Villanova’s Bellesini Friary from 2005 to 2008, and then returned to Saxony Hall until 2009. Father McGuire retired from the university in 2006 and was appointed treasurer of the Province of St. Thomas of Villanova in 2007. He resigned as treasurer of the Province in October, 2009, because of failing health. Father Bill McGuire served on many Boards of Trustees of our high schools and colleges, and was a member of National Associations for Higher Education. He spent his entire religious and priestly life in the province's education apostolates, devotedly serving young people, encouraging them to achieve their goals. He was known for his ready smile, friendly manner and sense of humor. He lived his life in the spirit of St. Augustine, the teacher, counselor and administrator. Father McGuire died on January 17, 2012. Father Mickey Genovese, O.S.A., Prior Provincial, celebrated the Funeral Mass at Villanova on Monday, January 23, 2012. Father Robert Hagen, O.S.A. preached the homily. Burial took place the following day in the Augustinian plot of Calvary Cemetery, West Conshohocken, PA. Newer Post Clement C. McHale, O.S.A. Older Post John P. McGuire, O.S.A.